Thankfully, cow's milk is no longer given to infants directly, and it is the official recommendation of pediatricians that milk not be given to babies until they turn one. Why? Because their developing stomachs are not designed to process the proteins and fats found in cow's milk. And even if they were, cow's milk does not provide the nutrients necessary for growing babies. Only human breastmilk is perfectly designed for human babies. Consider this: humans are the only species to drink milk from another species. And we are the only species that drinks milk beyond infancy. So, since it's fairly well established (even by the medical community) that children under the age of 1 should not drink straight milk, we'll skip discussing why this is indeed a bad idea. However, milk based formulas are also a bad idea, as is allowing children older than 1 to drink cow's milk (which we will cover tomorrow). To begin, formula does not provide immunological protection the way breastmilk does. Breastfed babies receive temporary immunity to a wide range of diseases while they are still nursing. This is a perfect setup because their developing immune system is not yet ready to fight off diseases by itself, so the added protection from the breastmilk provides all they need. Formula does not provide this protection, leaving the infants vulnerable to any number of childhood ailments, such as ear infections, stomach problems, asthma, skin conditions, etc. The statistics are clear. Formula fed babies have a considerably higher risk of developing a wide range of problems, from ear infections and stomach aches, to cancer and diabetes. This brings us face to face with the safety and effectiveness of infant formula as a breast milk substitute. Is formula actually as safe as we have been led to believe? ...the answer is a resounding “no.” In fact, the use of infant formula doubles the risk of infant death for American babies. And, unfortunately, it's not limited to infants. Those who were raised on formula have an increased risk of developing various diseases, even as adults. Formula fed babies are at greater risk for everything from heart disease to asthma and even obesity as they reach adulthood. Studies have shown that children who are breastfed are less likely to be obese during adolescence, and that longer periods of breastfeeding greatly reduce the risk of being overweight in adulthood. Modern infant formula has come a long way from the days of mixing cow's milk with flour and do provide adequate nutrition to babies. While even today's formula does not provide immunity (as discussed above) and has a fair share of unhelpful ingredients, it does meet the basic nutritional and vitamin needs. You won't find today's formula fed infants developing scurvy or iron deficiency. Aside from the things we know formula does not contain, there are many harmful ingredients that we know it does contain. In addition to manganese, infant formula has been found to occasionally contain aflatoxin, aluminum, lead, bacteria, etc. There have been numerous formula recalls over the years due to contaminants such as glass and metal fragments. This is, of course, in addition to the contaminants added to formula from the tap water mixed with the powder. Tap water can contain chlorine, fluoride, bacteria, metals, sulfur, etc. All chemicals that the vulnerable and developing infant body is not prepared to deal with. And, of course, most formula is cow's milk based. 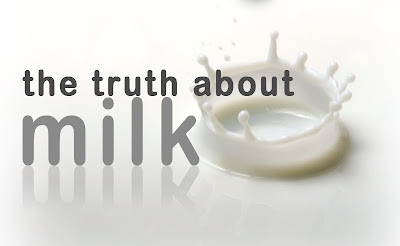 We've spent the last 5 posts examining how cow's milk is harmful to adults. These same milk proteins that cause adult problems are linked to allergies and worse in children. This is something that parents who use formula are aware of, but likely choose not to think about. Much the same way that the cigarette smoker can spend nearly $100 per month on cigarettes, parents who use formula are spending considerably more money than they need to. Formula costs the average family approx. $150 per month. This expense is for an inferior product, proven to be detrimental to a baby's health. And the alternative, breastfeeding, is completely free! Given these numbers alone, I am honestly very surprised that so many people willingly decide to use formula. The U.S. Department of Health and Human Services says, "As a mother, one of the best things that only you can do for your baby is to breastfeed." It's one of the easiest, cheapest, safest and best solutions for a new baby. The health benefits are undisputed, and the risks of formula are clear.